The wait is over. 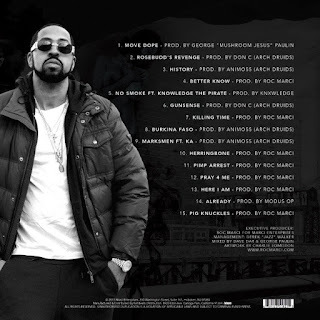 Rosebudd's Revenge, the fourth official album by Roc Marciano, is out now via rocmarci.com, having arrived in the dead of night like a streetwalker. 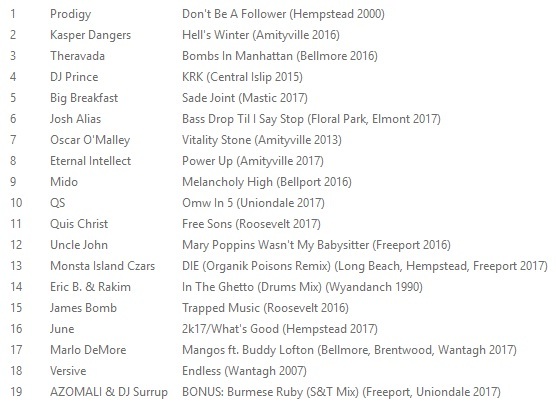 There are 15 songs, 7 produced by Roc himself, 5 by a member of the Arch Druids production duo. 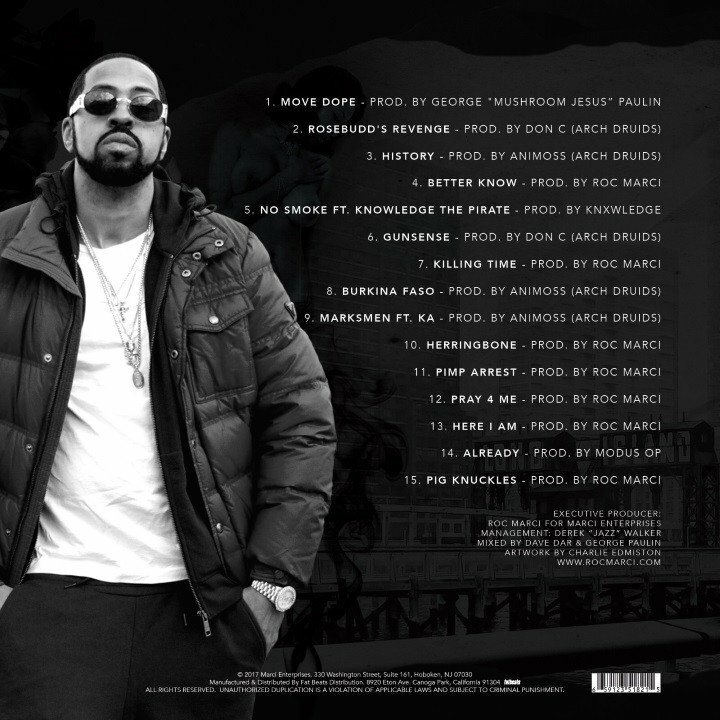 Portions of tracks 2, 1 and 13 are collected in the video below titled Rosebudd's Revenge Part 1, which dropped last night along with the album. These are produced by Don C[halant], George "Mushroom Jesus" Paulin and Roc Marci, respectively.